After having used 3G Watchdog since getting my HTC Wildfire (and subsequently my Samsung Galaxy S2) it seems only fair to look at one of the must have apps for any mobile internet using android phone users. The basic app is available for free from the Market and is one that you should already have (and if you don't, get it now!). 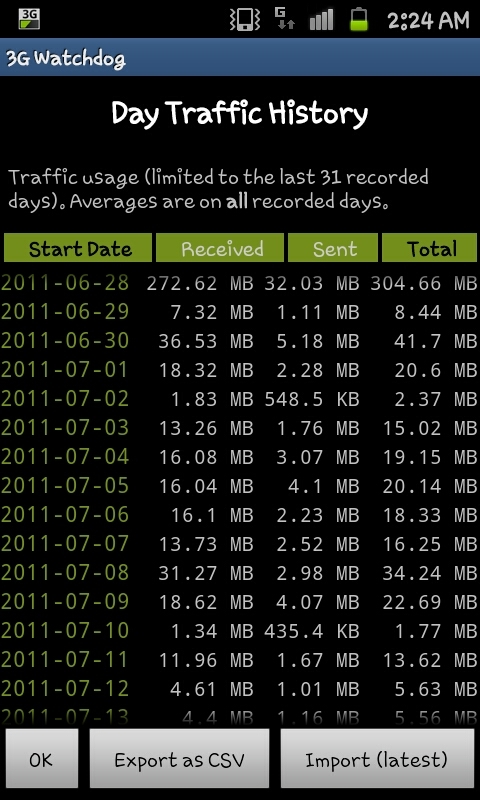 The application is currently the best way to keep track of your data usage on an Android phone. 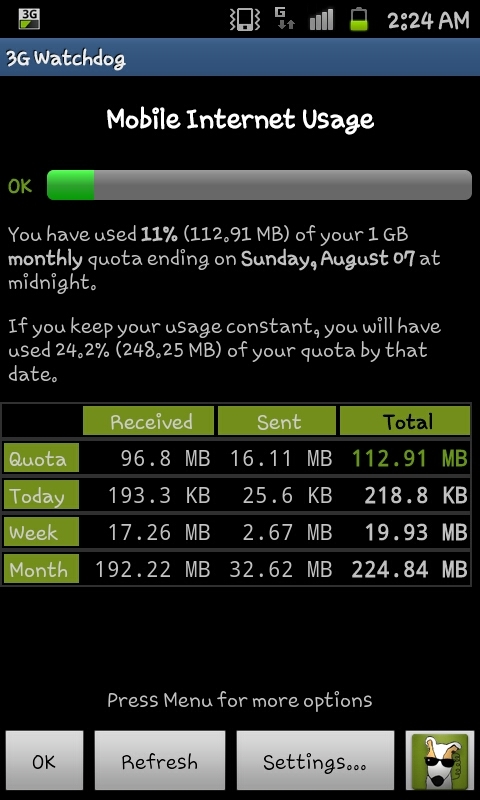 It does this by recording all your usage in a screen like the one in the image to the right hand side. 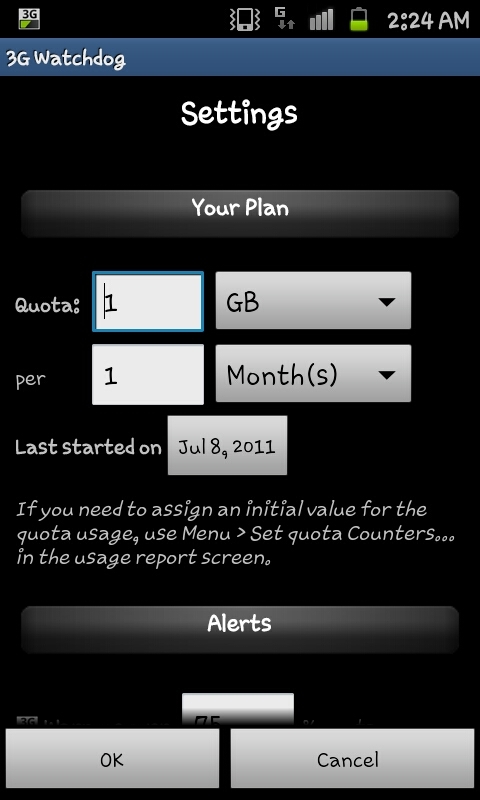 For those who are on a capped allowance of mobile data, this is an application that will allow you to set a your plan into the app and then track how much data you are using. The screenshot to the left is the plan setting, which allows you to select your allowance, you time span, you reset date and when you want the phone to alert you that you're getting close to your limit (i.e. when 75% of your allowance is used). As well as tracking usage through the month the app also allows you to see data usage for the last 31 days as both received and sent this is where the application can do that little bit extra. If you're on a capped allowance, no matter how big, 3G Watchdog is a must have app that will allow you to track the usage on your phone. It adds a feature that SHOULD have been put in the phones when they were made.